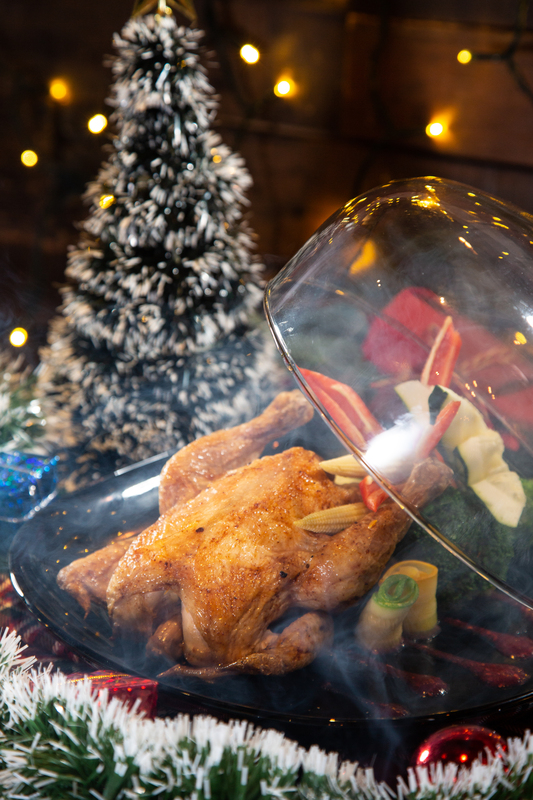 Espuma is celebrating the joyous occasion with a celebratory four-course dinner menu during the holiday season. Highlighted dishes are Roasted Dry-Aged Angus Ribeye with Black and Blue Whisky Sauce, Smoky Rosemary Roast Spring Chicken with Cranberry Sauce, Seared Sea Bass with Avocado Mayonnaise and Grilled Rack of Lamb with Asparagus in Balsamic Vinaigrette. A unique Christmas-themed dessert - Santa Claus and Rudolph are in Town will also be offered. 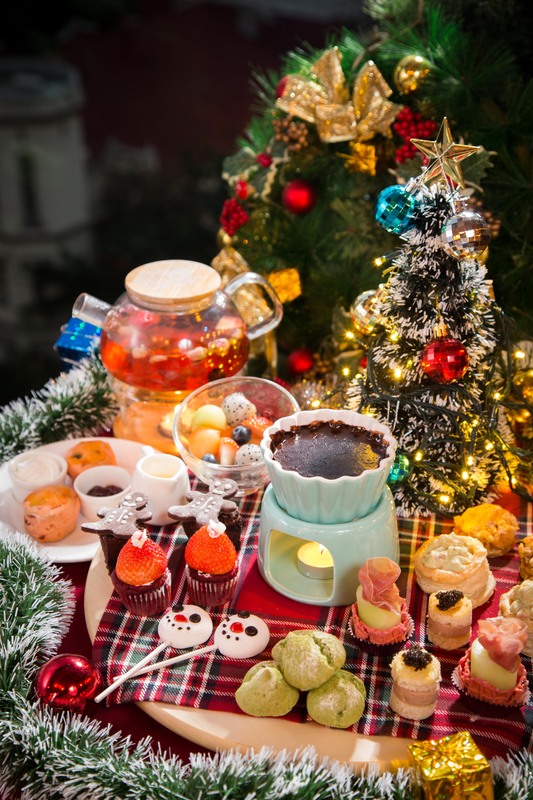 This holiday season, Espuma is presenting a delightful festive afternoon tea set to celebrate with family and bffs. Featuring a Chocolate Champagne fondue with a scrumptious variety of delicacies such as Caviar Toast, Parma Ham and Melon Beetroot Tart, Raspberry Scone, Red Velvet Santa Hat Cupcake, Mini Matcha Puff and Snowman Marshmallow Pop. 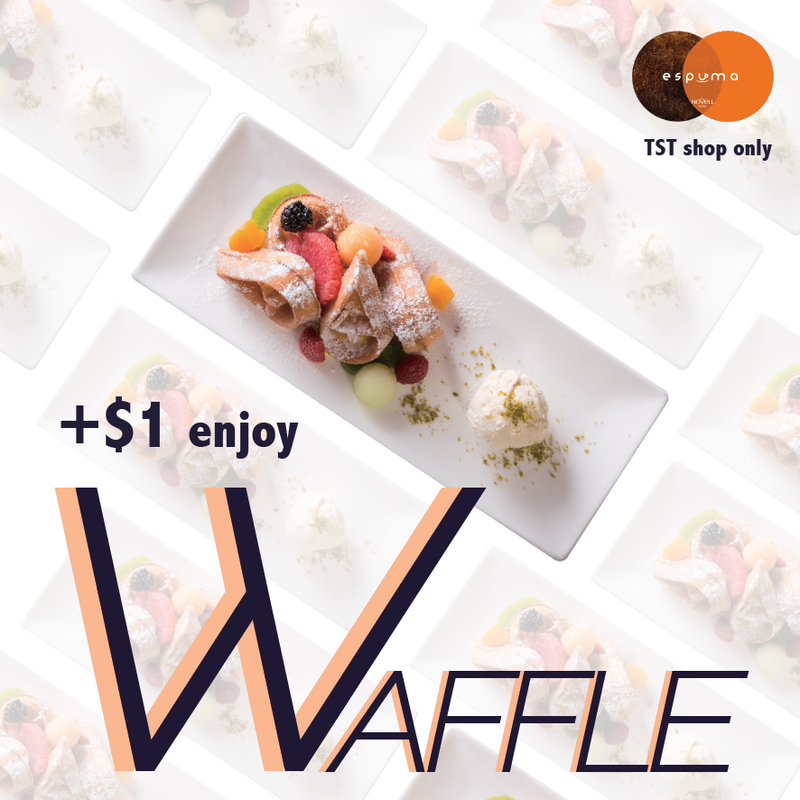 For two weeks only, from 5-16/11 (Monday to Friday), 2:30pm to 6pm, customer can enjoy our signature waffle (valued at HK$68) at HK$1 upon spending of HK$100 on food or drinks at TST shop. Halloween is approaching, and it certainly is a good excuse to have a fun time. From October 27 to 31, Espuma reformed to be a horror gallery that allows you to experience the creativity of terror artists. 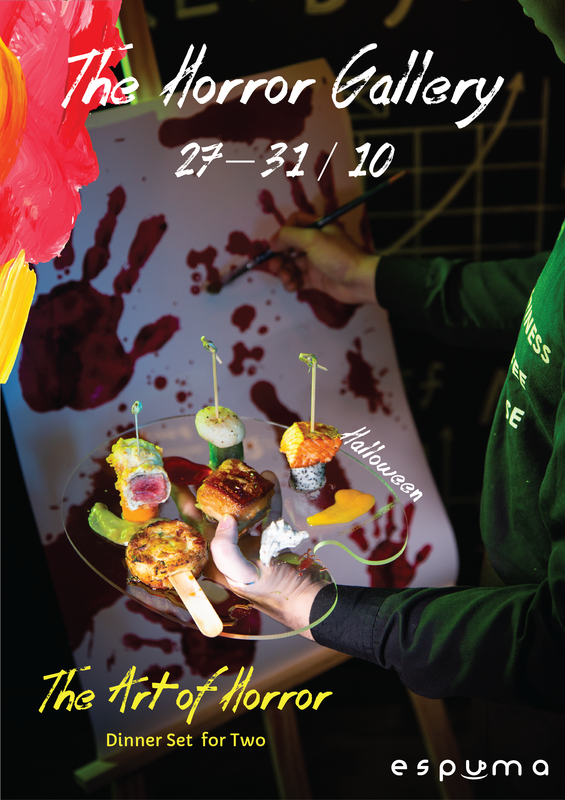 In terms of food, The key recommendation is the main course "The Phantom Artist", which presented with a unique palette and the concept of Tapas. 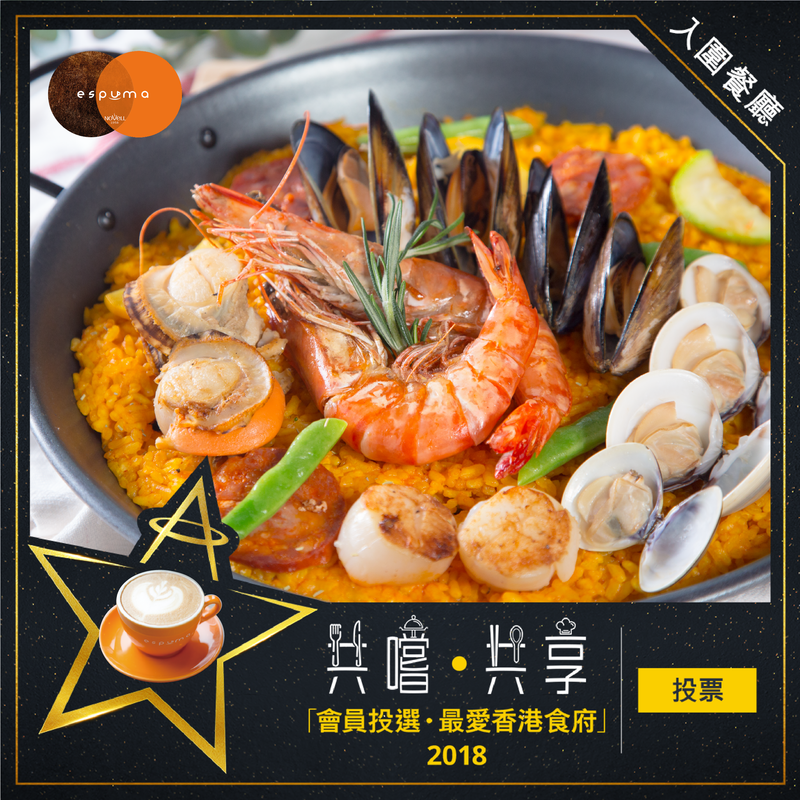 Espuma is being nominated for Asia Miles’ 'Favourite Restaurants in Hong Kong Members' Choice 2018', SOCIAL CORNERS category! 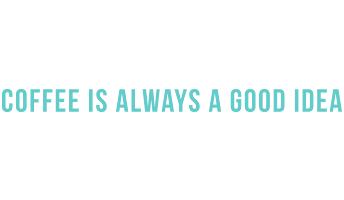 Please support us by casting your vote now! 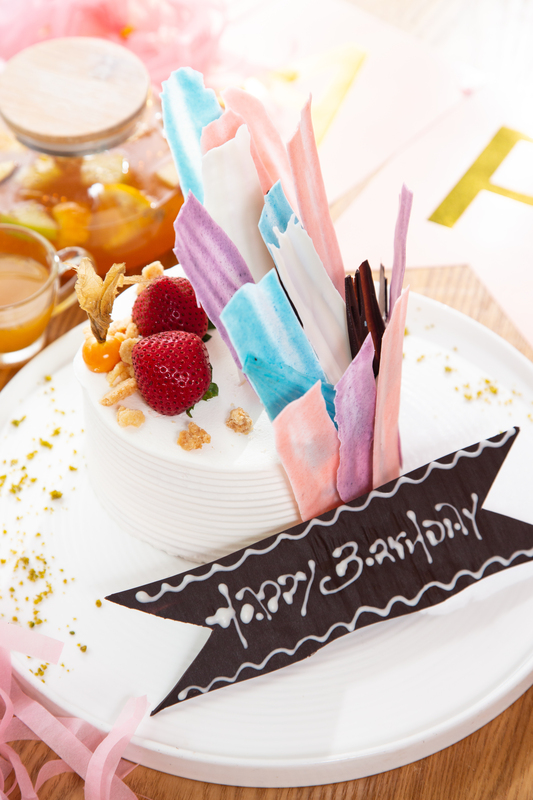 If you are seeking a more creative and fancy birthday cake than the traditional ones from the standard bakery, Espuma’s new birthday cake might just be your right choice. This year, Espuma offers a limited-edition mooncake with the theme of the Full Moon and Rabbit, in celebration of Mid-Autumn Festival. To coincide with the festivities, there will be a lantern riddles game at the restaurants. Customers can enjoy a complimentary Truffle Fries with Cheese or Espuma Nachos by solving the riddles inside the lanterns. 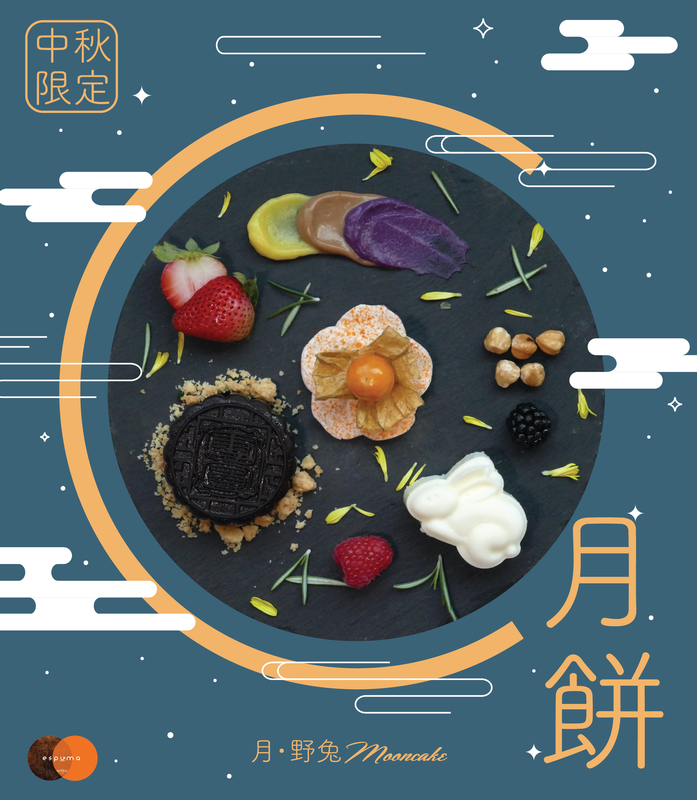 September is about to get more exciting, as Espuma has created a Custard flavor of Lava Diva for celebrating the Mid-Autumn Festival! With summer approaching, our holiday drinks are the best way to stay cool all season long. 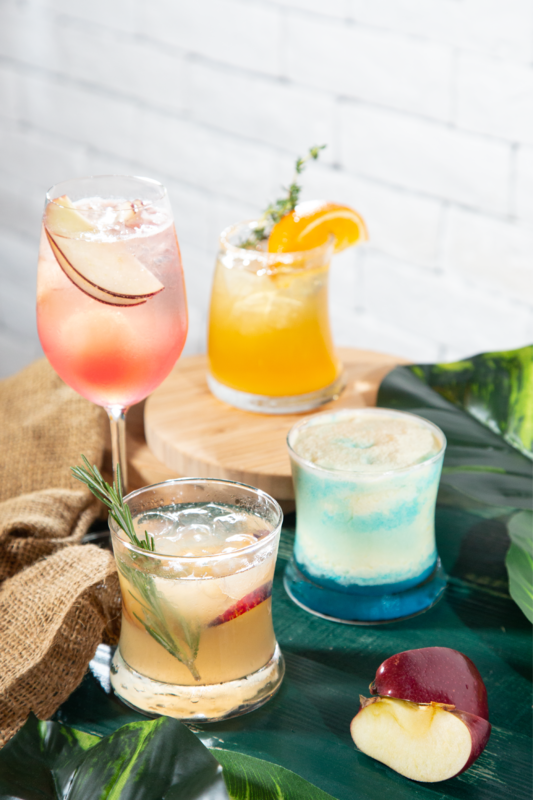 Come and taste our colorful holiday drink now. 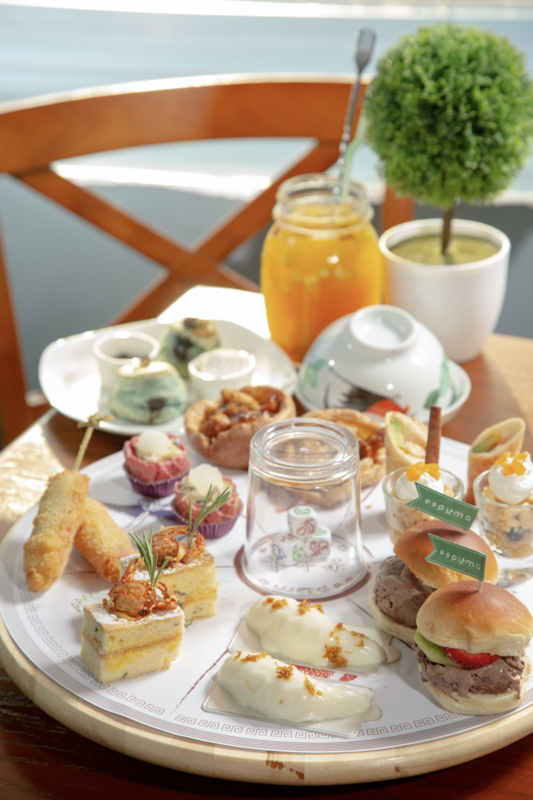 This summer, Espuma will be presenting the unconventional hooheyhow afternoon tea set. 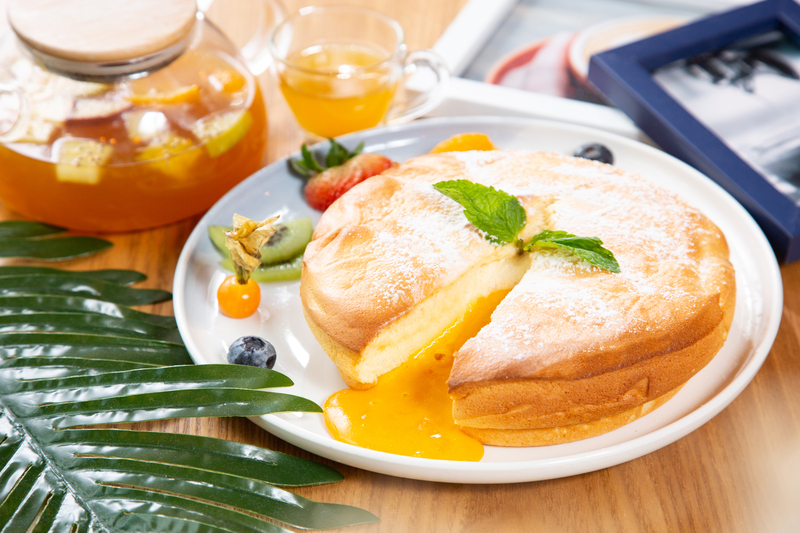 Guest can indulge a range of new creations, including Black Pepper Chicken with Yorkshire Pudding, Crispy Crab and Seaweed Cake, Winter Melon and Mushroom Beetroot Tart, Koi-shaped Almond Tofu Pudding, Blueberry Scone w/ Butterfly Pea and Fresh Fruit Ice Cream Burger. Available from 13 July, 2pm to 5:30pm.